Exquisitely dewy liquid foundation for the perfect balance of skin luminosity and flawless, buildable medium to full coverage. 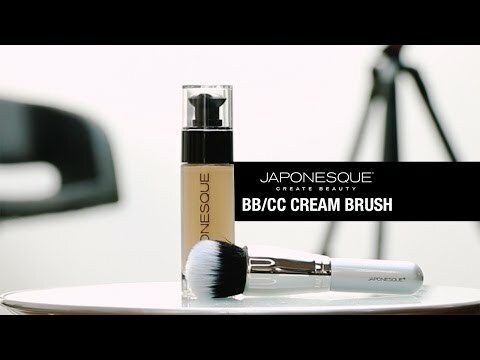 The JAPONESQUE® Luminous Foundation is an industry favorite with an exceptionally supple texture to layer, blend, and customize your coverage. Creamy and comfortable to wear, this foundation creates the look of radiant and perfectly balanced skin. Contains emollients which are known to soften and moisturize the skin. Sweep foundation over the face using the High Density Foundation Brush or Straight Foundation Brush to blur into the skin. Layer and blend to add coverage. Luminous Foundation is rated 4.5 out of 5 by 6. Rated 5 out of 5 by Yarby from Japonesque Foundation This is one of the most smooth and gentle foundations Ive used. It goes on with ease, almost like silk in texture. The coverage is excellent, yet can be touched again over areas of question, and looks very covered and beautifully blended. I really really love this foundation! Highly recommend it. Rated 5 out of 5 by MImi from Love the natural look! I use the foundation along with the primer, it applies smoothing and has a natural look, medium coverage, It does not settle in lines of face. I love it, and reccomend it. Rated 5 out of 5 by loriforn from Love I found this foundation easy to apply. It was very lightweight but still gave coverage. Lasted all day. The color for me was perfect, which rarely happens. Rated 5 out of 5 by Rdaletto from Love this foundation Buildable medium to full coverage. It doesnt have a strong scent. It's great for dry to combo skin. Blends perfectly and nice shade range.